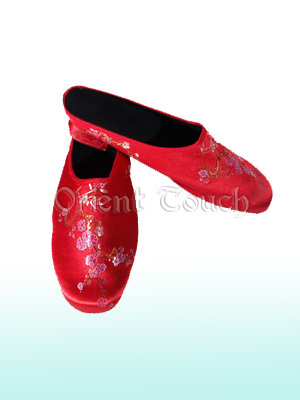 There are beautiful plum blossoms all over the shoes. Designed in simple pattern with heels and the shoes are indeed good looking. Simple is the best. It will be a good accessory for the well prepared party or ball.